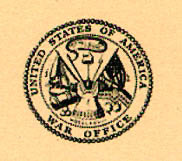 See: 11/19/03 Earthfiles "1954 War Department Training Manual: Extraterrestrial Entities and Technology, Recovery and Disposal - Reasons Manual Is Authentic" with Robert Wood, Ph.D. 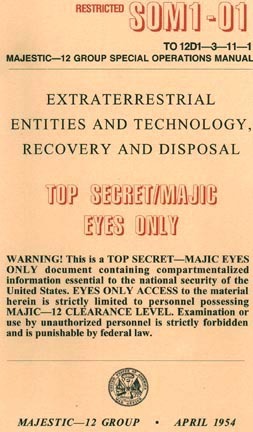 This Majestic-12 training manual's 32 pages of text and drawings first appeared on 35mm black and white negative film in a package postmarked March 7, 1994, from LaCrosse, Wisconsin, and addressed to Don Berliner at the Fund for UFO Research in Maryland. Bob Wood, Ph.D., aerospace engineer at McDonnell-Douglas, took on the work to print the negatives for analysis.